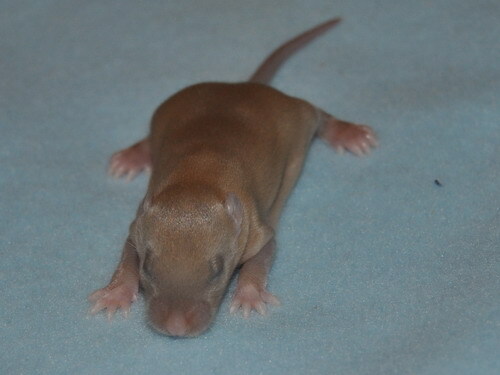 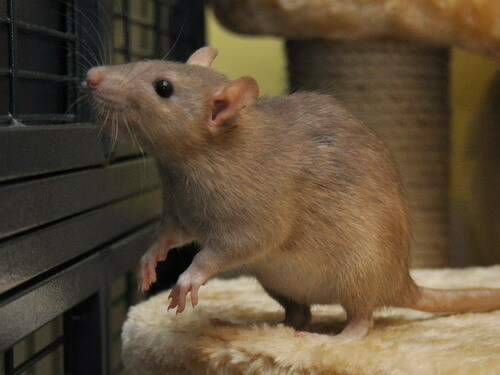 Temperament: Sweet and busy, steady and balanced. 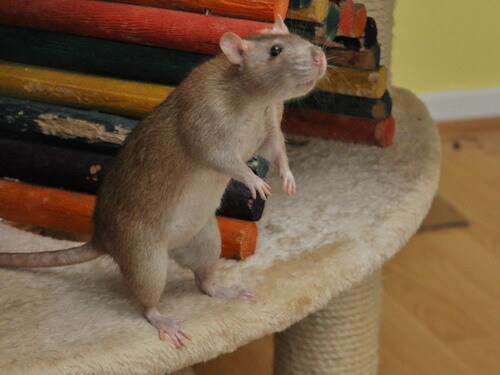 Very often checks in with me during freerange. 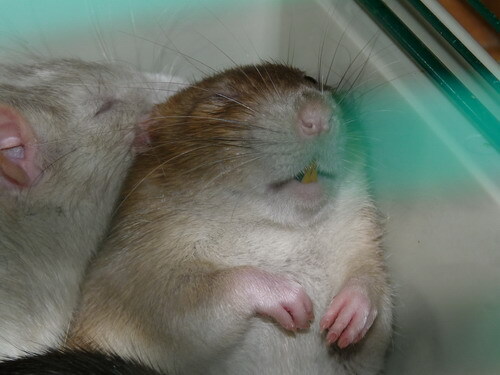 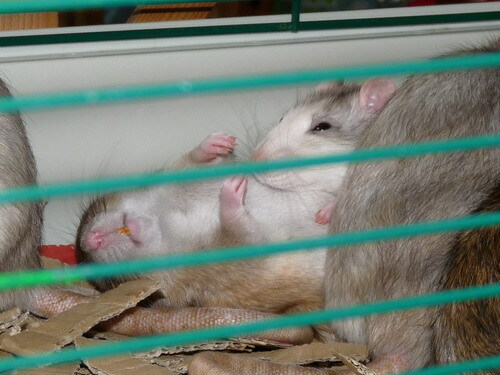 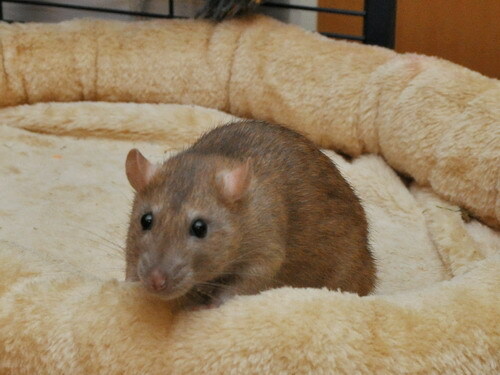 Fig passed away quietly in her sleep, after a long and active and mostly healthy life. 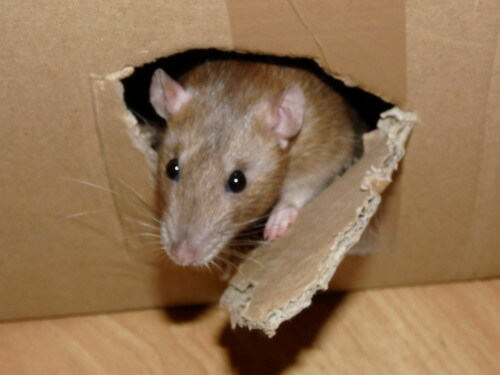 Her passing wasn't easy but as easy as it every gets - she got to slip away at home, safe and comfortable, after living out her life. 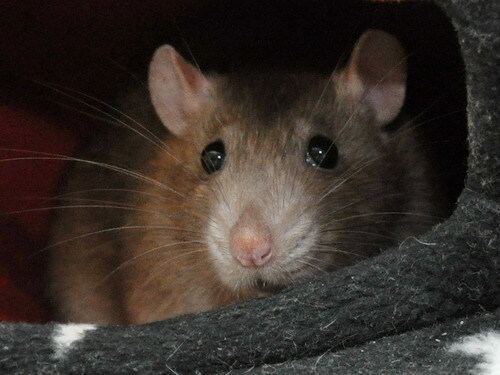 I miss you girly, you were very special. 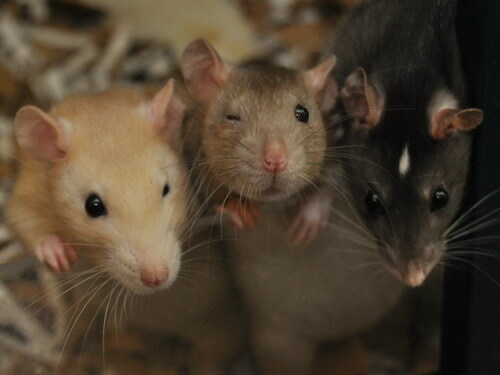 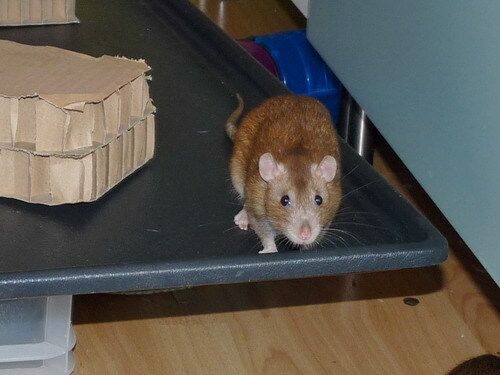 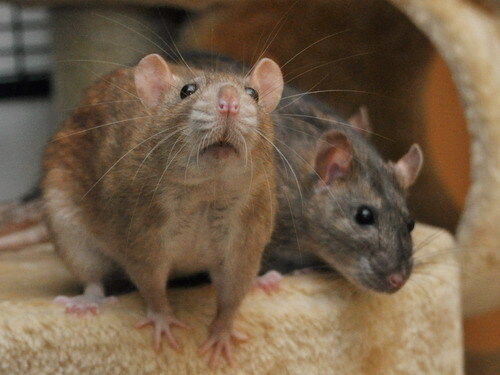 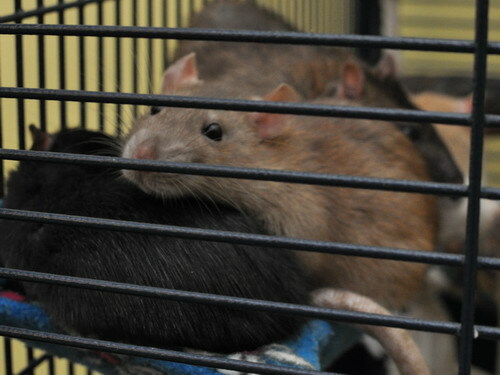 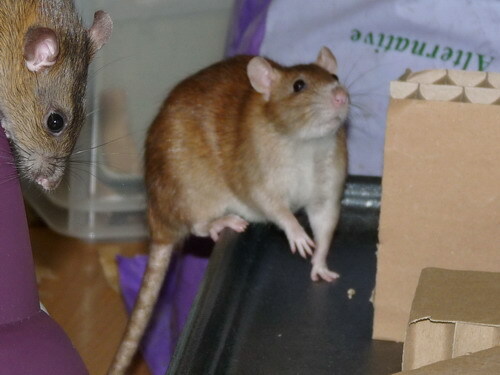 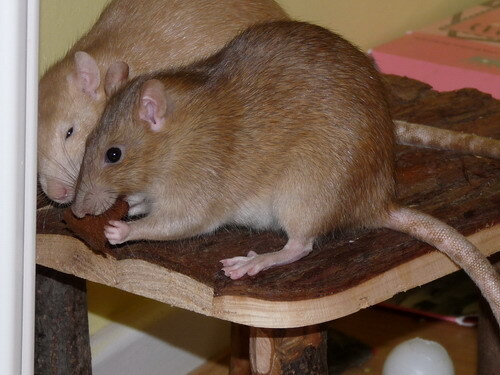 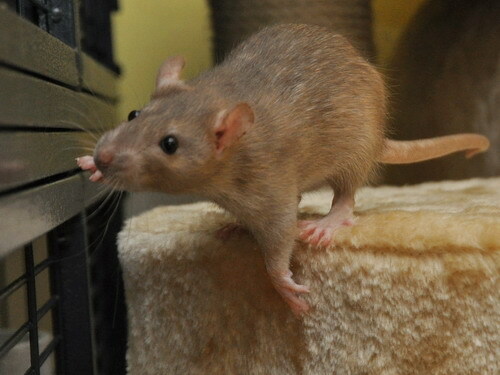 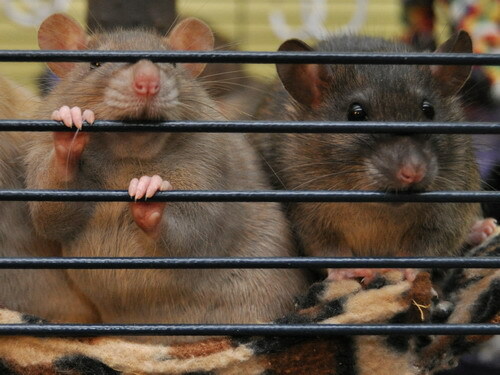 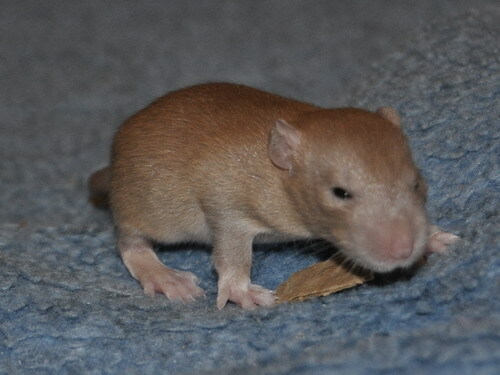 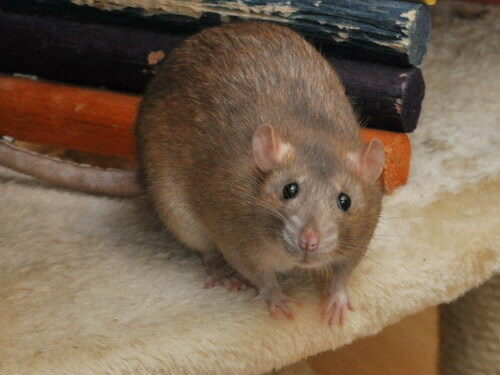 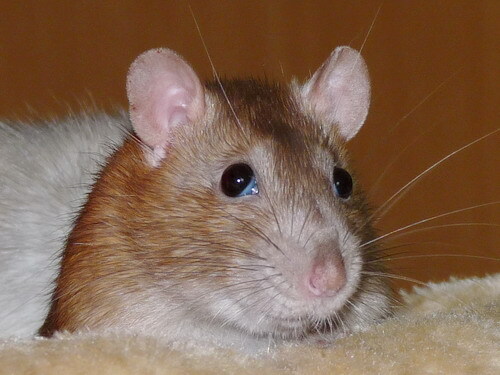 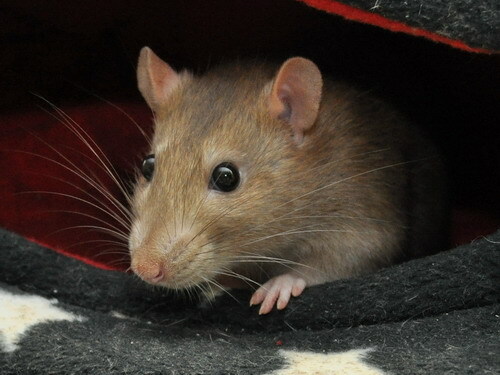 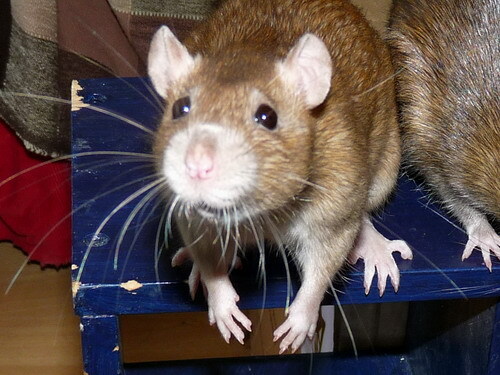 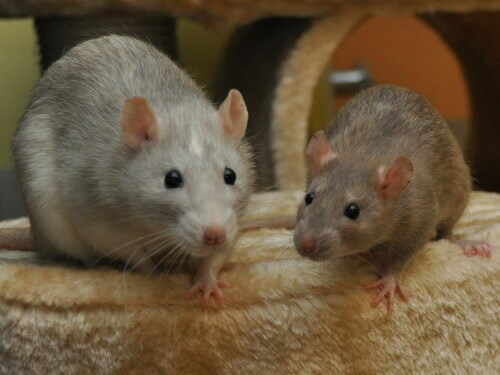 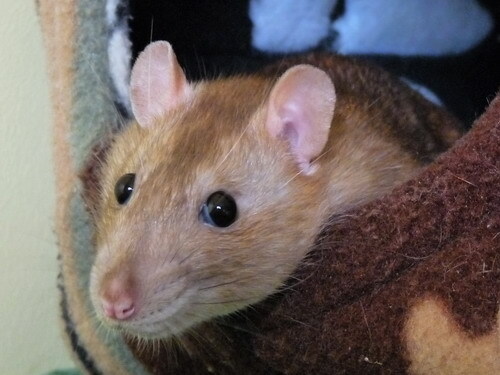 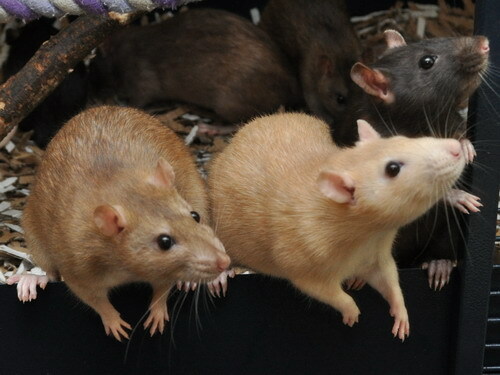 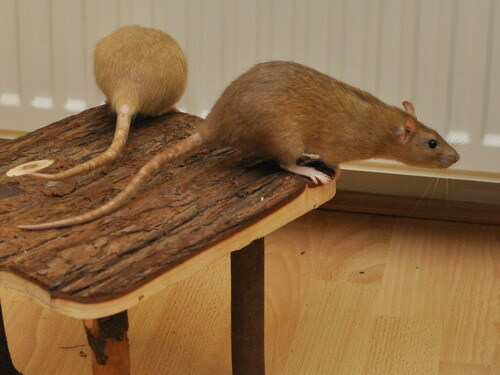 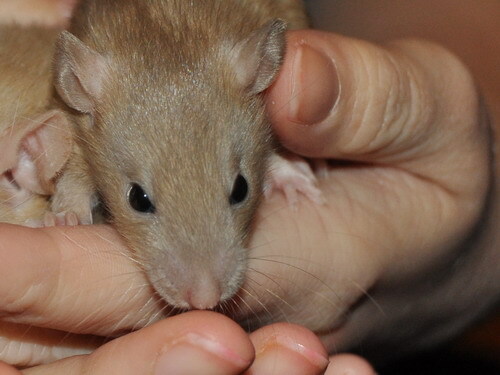 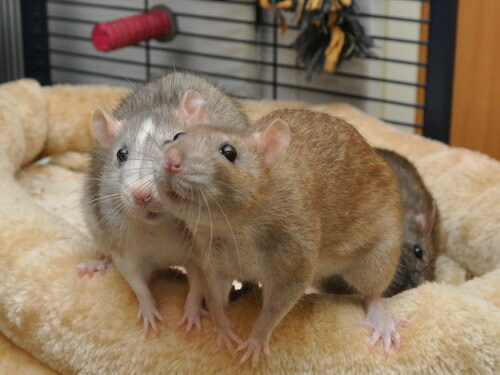 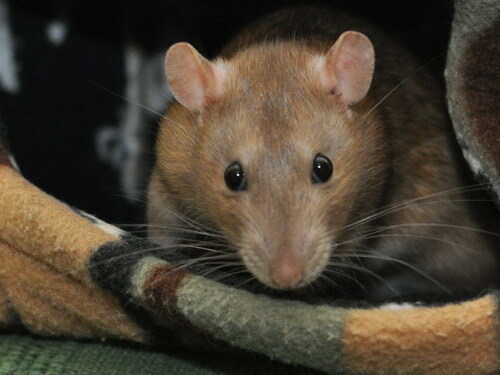 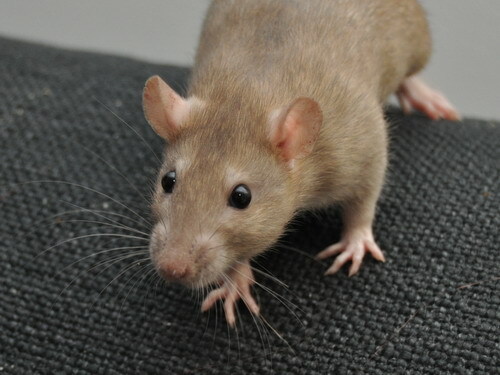 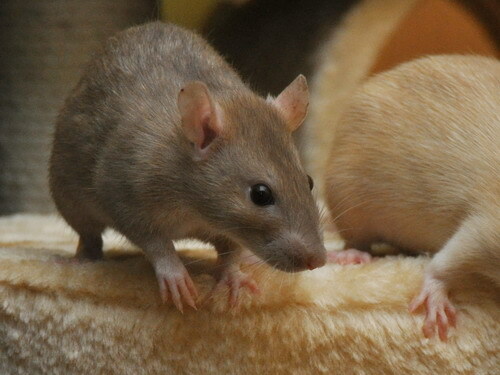 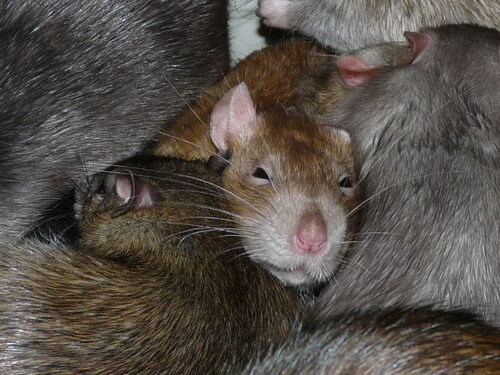 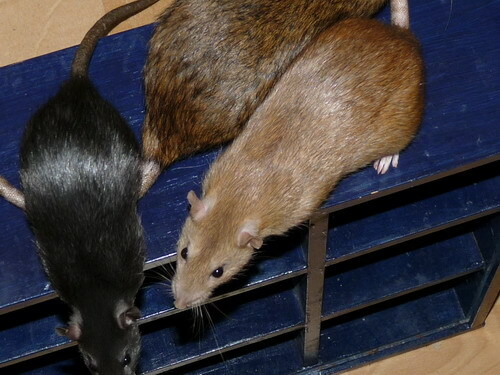 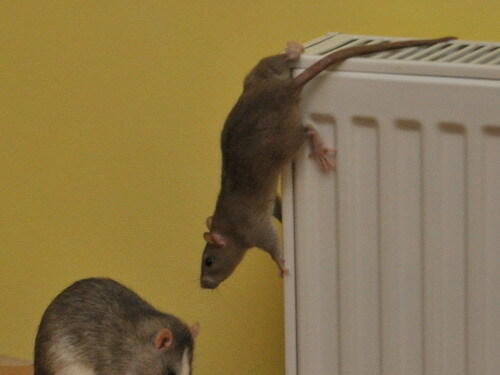 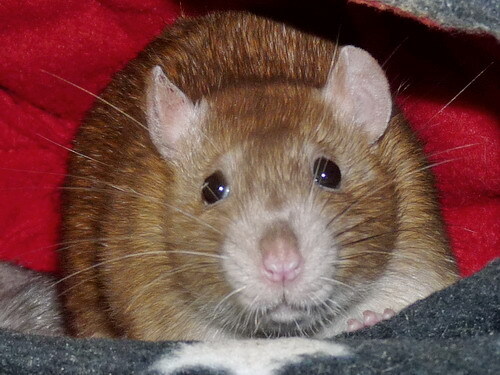 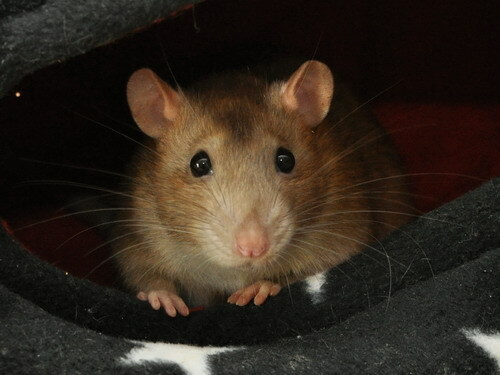 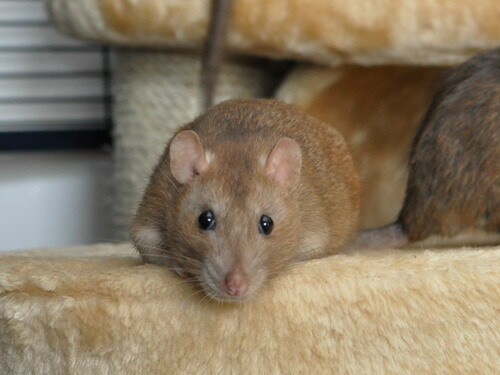 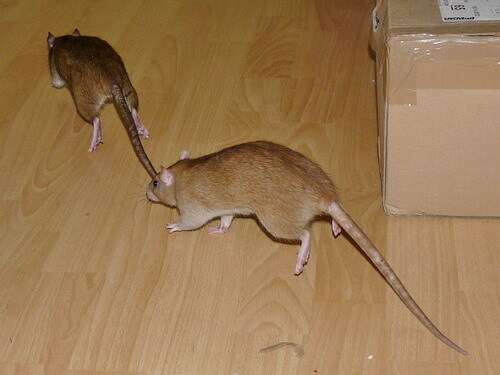 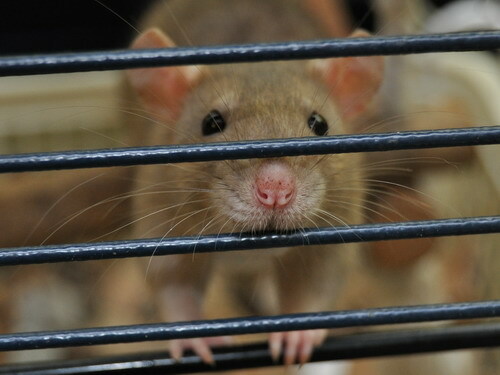 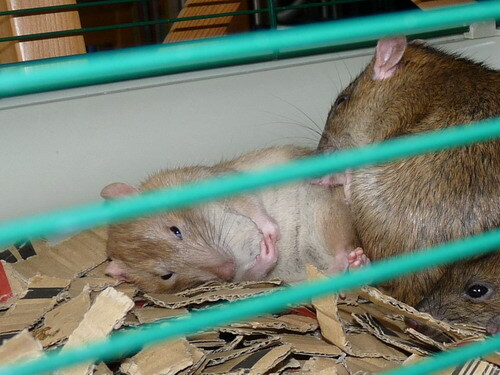 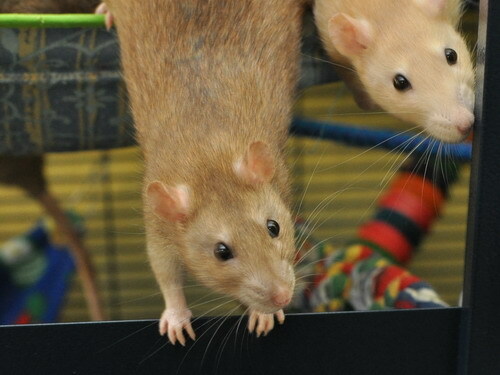 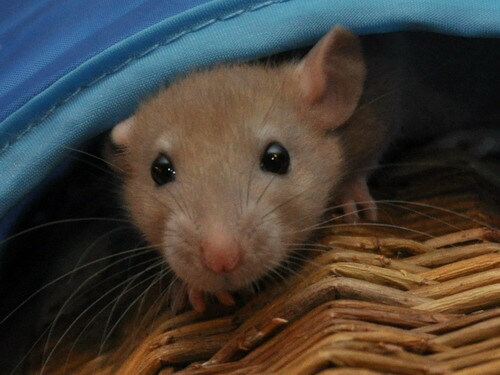 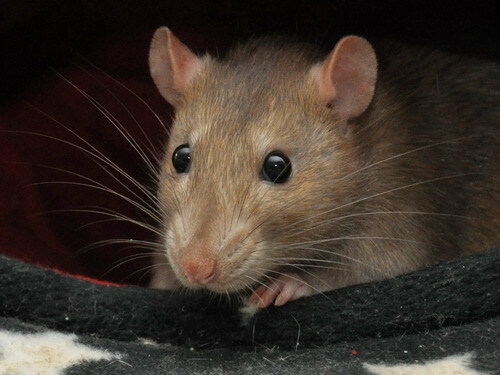 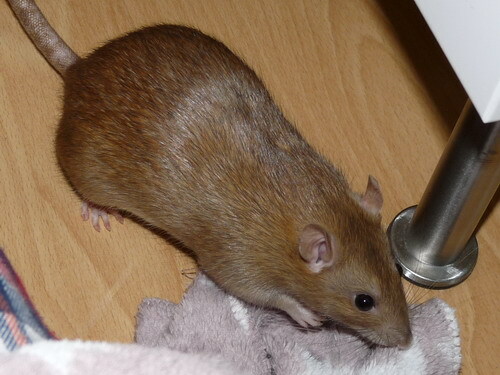 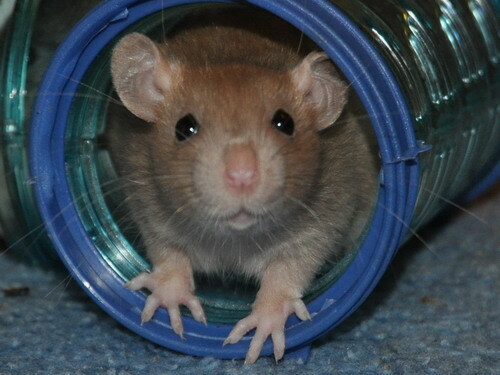 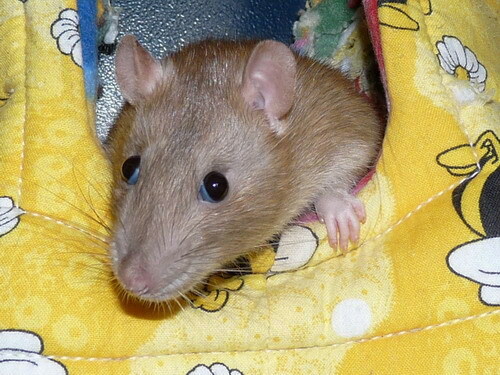 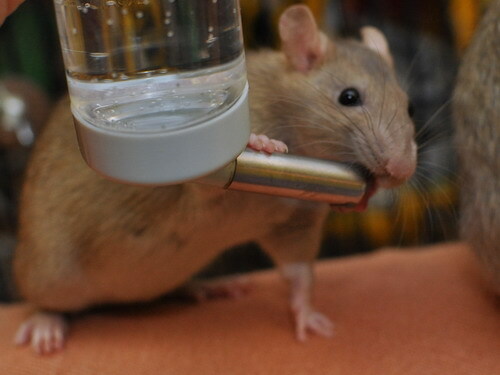 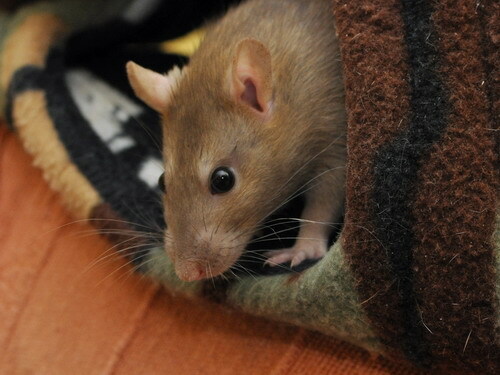 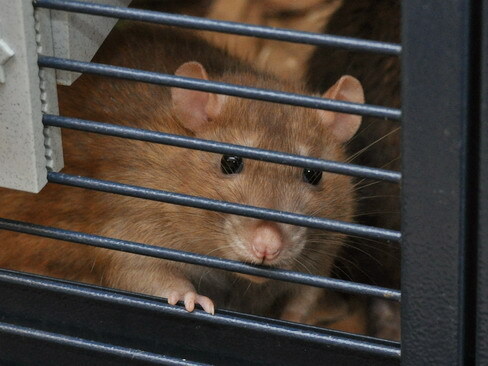 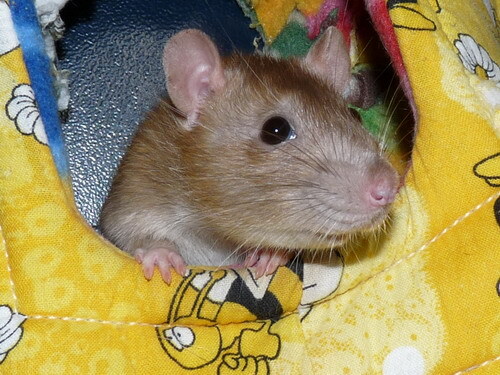 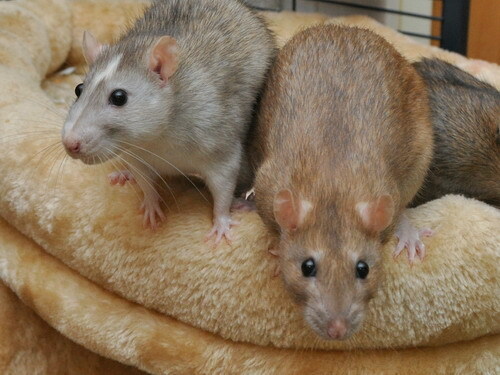 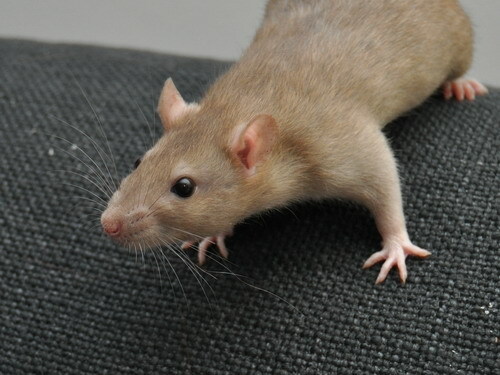 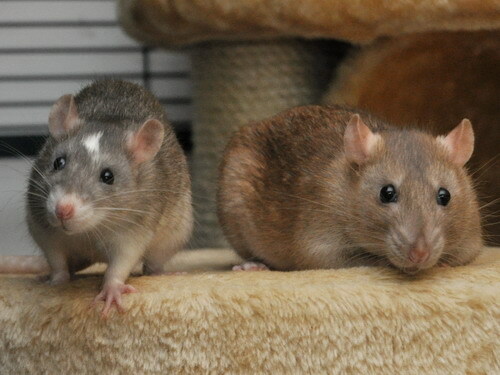 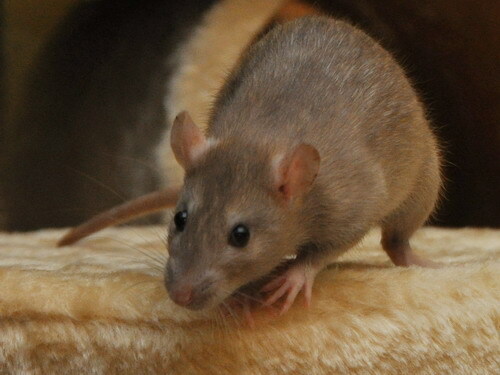 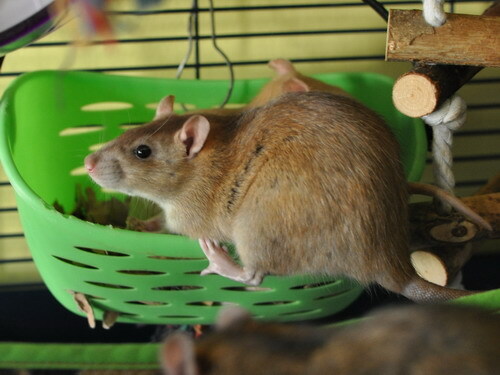 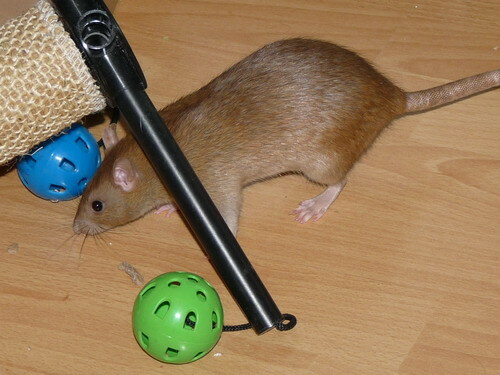 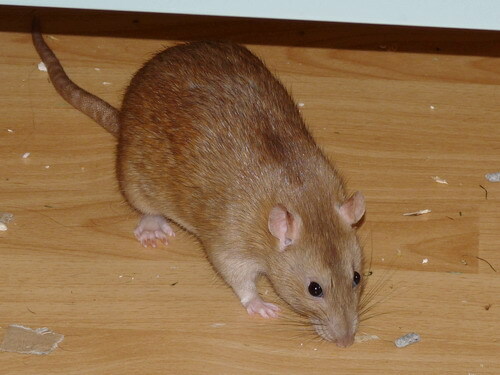 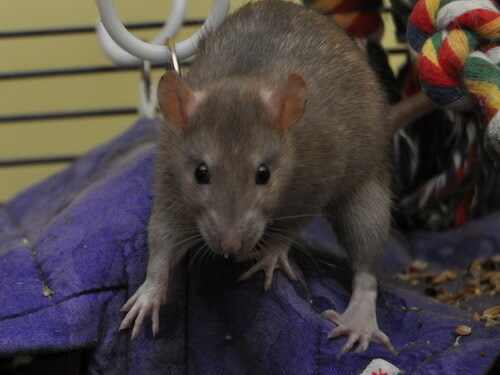 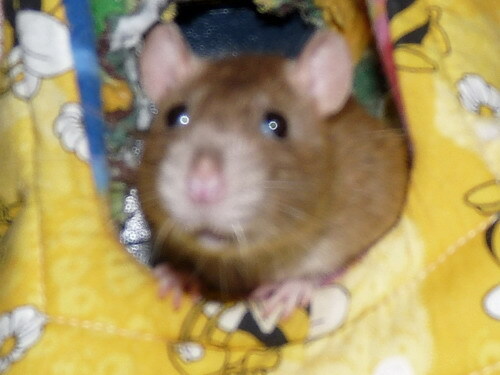 Minifig is one of those rats who has very much grown into her personality as an adult. 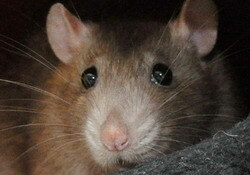 I am utterly in love with her; she is very balanced, with a lovely steady calm, and exudes wellbeing and contentedness. 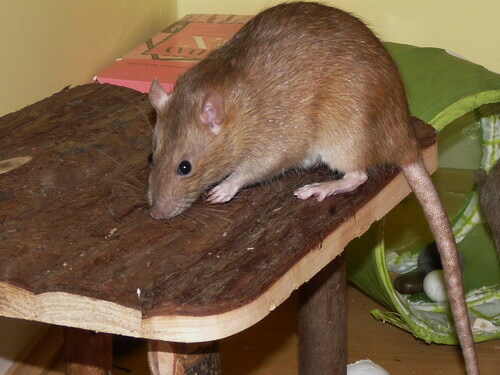 She is sweet and busy, solid and quiet, and trims her own nails :) Although independent and self-sufficient, she likes to check in with me a lot during freerange. 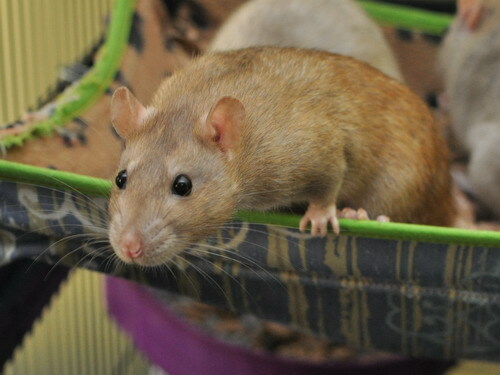 She also has more than her share of naughtiness and has specialised in quietly sneaking out of the cage given the briefest opportunity! 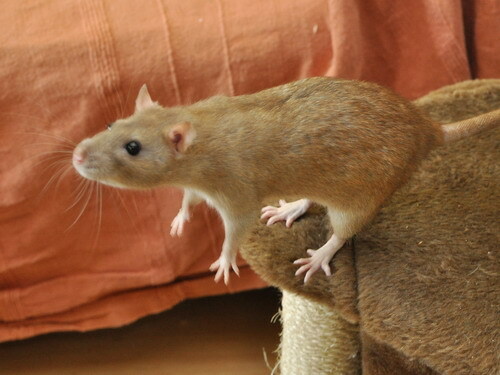 Fig has been to a number of shows; she has two NFRS varieties stars and has placed 3rd in the Agility challenge.